putting white over solid black is not going to be as vivid as you are thinking,it will be very lightly subtle at best. it will never look like that reference picture you posted. This design coming out of what you’ve got now....that’s not gonna happen. That’s being unrealistic. Check Out My Personal Account On Last Sparrow Tattoo! Just wanted to post up a quick review of who we are and where to find the account of the person writing this status. The Tattoo POS is a Windows Based Software designed for management of Appointments, Orders, Customer Data, Payments and much more. 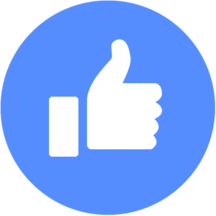 We are currently suitable for smaller shops and individuals, but our system will also handle multiple employees and massive order input. As we grow the company, we plan on investing more time into creating a perfect platform that is suitable for large and small tattooing & piercing shops. This April we hit a milestone by crossing our platform over from Beta to Beta II. We found it necessary to go through Beta II as a way to fully work out anything that might need tweaking or added to the software. Beta II is currently very young and we anticipate great things moving forward. If you are interested in Beta II, head on over to our website for more information. 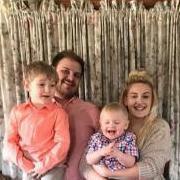 We are currently new to lastsparrowtattoo.com and I will be creating an account shortly after writing this. 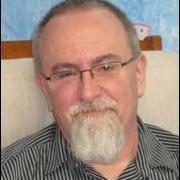 I will leave another status with a link to that account, so you can put a face to the company. 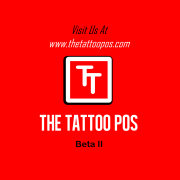 Thank You All For Taking The Time To Read Up On The Tattoo POS Beta II! I didn't even know what it meant until I looked it up but yeah I feel better now. I think it will go smoothly, I just got freaked out when he said it could have issues. I just can't wait to get her paw on me. https://www.facebook.com/perfectimagetattoo/ It was supposed to be a £30 deposit but I asked to pay it so it's taken care of. @Hogrider It was someone on reddit, said he was a tattoo artist. white on black is a thing - and can be good applied by the right artist, but the application of the cover that's there so far isn't good, so I wouldn't have any confidence that she's going to be able to fix this . . .
What are you going to research? Either you want to pay the money or you don't. Better to pay more than you want than less than you should. It sounds like you want to use this artist, you just need to talk yourself into it. Go for it; I've never gone first class and wished I hadn't, but every single time I cheap out I'm sorry. One thing I won't cheap out on is my tattoos. I learned that from other people's mistakes. Does this person who said the rose will blow out know anything about tattoos? That's a really odd statement. Simple tattoos are easier to read. The more you add, the harder it will be to read, but you should really get what you want. Listen to your artist, what makes a good image doesn't necessarily make a good tattoo. There's also the question = Can someone else do work which is just as nice for less? There are some really talented biomech folks out there who don't charge that - so is this artist's work that much better to justify it in your eye?